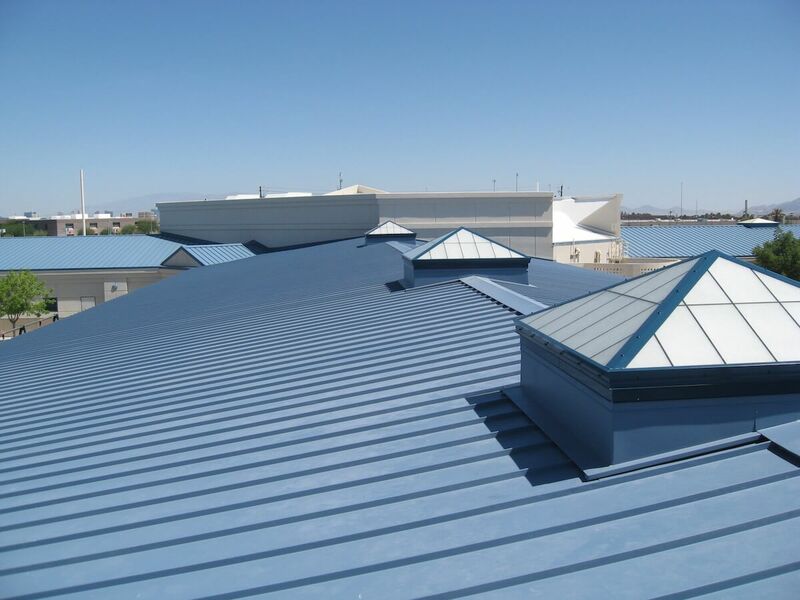 There’s a lot of different options to choose from in commercial roofing. Generally, you’re going to get anywhere from a 10 to 40 year warranty. Some of the common commercial roofing products around this Middle Tennessee are EPDM and TPO. Both of which are great choices that have different uses and benefits. EPDM is a rubber-style roofing, generally going to be black style. TPO, which is one of the newer up-and-coming ones, and that’s one of the main ones that we’re working on now. You have some older styles like your built-up roofing, which is going away. Of course you have your standing seam, your metal roofing as well, and things like that. Also some other things that are common that are kind of new is spray-coating. If you’ve got a metal roof or you’ve got a TPO or EPDM old roof that’s got leaks, and it needs to be replaced in the next few years, instead of tearing that off and putting a new one down, you can actually do a spray coating which is going to put a layer over it. It’s usually going to give you another 15 to 20 years of life. Spray coating a commercial roof is going to be a lot cheaper than replacing the full roof. There’s a lot of good options that are being developed. TPO, it’s a single-ply type product where underneath you’re going to have insulation. They are tapered to where we can drain that water off. Most commercial roofs are going to be flat, so that’s the big issue is draining that water out and figuring out a draining system. TPO roofs generally have a 30 year warranty.